*Wireless Internet Access (Wi-Fi) available at this location. On May 13, 1889, seven men met in the City Hall office of Mayor Orestes Cleveland to organize the first free public library for Jersey City. These newly appointed Library Trustees chose as their president the man who had battled for years to convince both the public and the political officials that a municipal library was a necessity. He was Dr. Leonard Gordon, a physician, whose first major task was to file a suit to force the city's Finance Board to appropriate the funds mandated by state law. With 15,515 books in stock and with no fanfare, the new Library opened on July 6, 1891 in rented, gas-lit rooms in two adjacent bank buildings on Washington Street, near York Street. To go from one part of the Library to the other, the public had to go out into the street. Clearly, a new structure was needed, one designed to house a large book collection and to provide seating capacity for a city with a population reaching the 200,000 mark. Throughout the 1890s, the Trustees and Library staff acquired land at Jersey Avenue and Montgomery Street, hired a supervising architect, Professor A.D.F. Hamlin of Columbia University, and announced a design competition. The architectural firm of Brite and Bacon of New York was selected, contracts were awarded, and, on August 16, 1899, the cornerstone was set in place. On January 14, 1901 the new building, today's Main Library, was dedicated. Physical expansion continued into the 1920s, and the Main Library was enlarged. But the Great Depression took its toll, curtailing any additional growth. However, from the 1970s to the present the Library has added services. Additional programming, access to online databases, and the use of microforms, maps, and photographs have augmented the book and periodical collections. 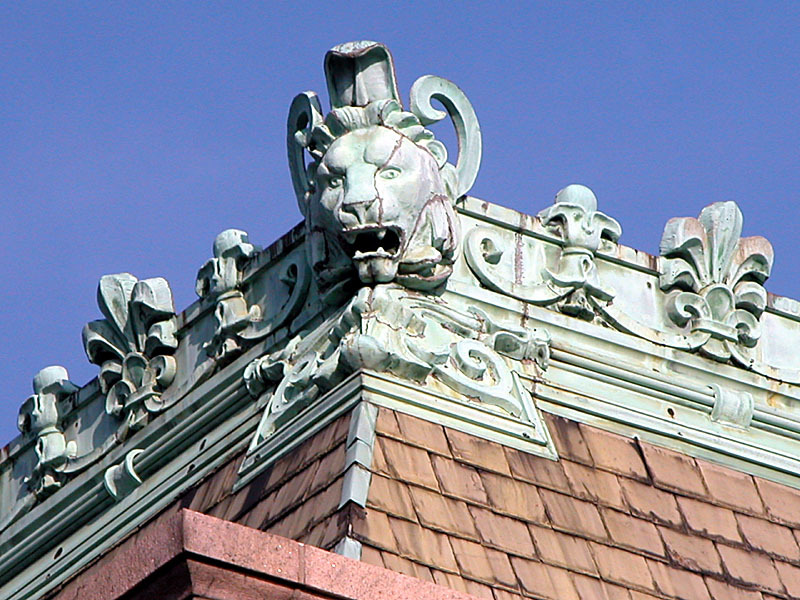 In 1989 the Library embarked on its second century as a central Jersey City institution. With the introduction of an online catalog and a wide range of web-based services, patrons can now search the collection and access Library services from their homes as well as from a growing number of onsite computer terminals. But the Main Library remains a physical treasure, an architectural gem that serves as a meeting place and a Downtown Jersey City landmark. In October 2014, major renovations on the Main Library began. At the time, the Main Library was 115 years old; as Library Director Priscilla Gardner noted, its restoration was “a long time coming” and much needed. The goal of the Main Library renovations is to ensure that this incredible building will serve the community in glorious condition for at least another century. 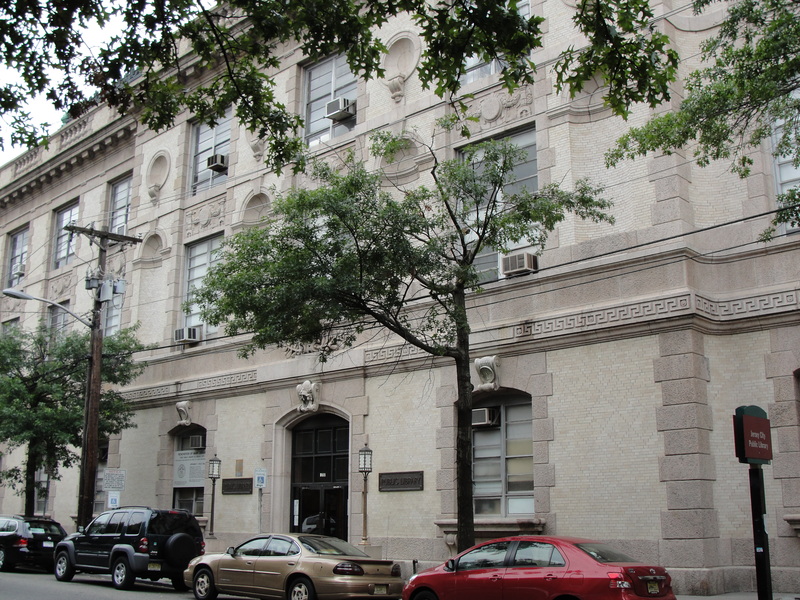 For Director Gardner, this project is the capstone of a 48-year career at the Jersey City Free Public Library. Phase I of the renovation project, completed in 2016, included the restoration of the exquisite architectural details in the Lending Department, a new elevator, barrier-free access to the Main Library entrance and renovated restrooms, and a new basement sprinkler system. The Main Library is currently in Phase II of the renovation project, which has included continued asbestos abatement and replacement of the aluminum windows with historically-correct, energy-efficient wood. Phase III of the project is slated to include several major upgrades, such as: full renovation of the Reference Department and Federal Documents Department; renovation of the interior staircase and public corridors; a new structure to the rear of the building that will house a state-of-the-art auditorium, as well as new climate-controlled bookstacks and rare document storage; a complete overhaul of the building’s heating and air conditioning systems to improve performance and reduce energy consumption; new motorized windows to restore the fourth-floor clerestory windows, and a new roofing system; and refurbished third-floor restrooms.